Little is known of Captain Alexander Hamilton other than what he tells us in this work, first published in 1727. Written during his retirement, it is both an invaluable source of information on south-east Asia at the time and a lively travelogue of Hamilton's adventurous seafaring life in the service of the East India Company and independently between 1688 and 1723. An engaging storyteller, Hamilton writes of encounters with pirates, the Portuguese, and of a poisoning in Malacca, as well as providing vivid descriptions of the countries he visited - from Africa to Japan via India, Sumatra and China - and their social customs, religions, trade and commerce. His idiosyncratic maps and illustrations enhance his narrative despite his admission that he makes 'but little use of the pencil'. 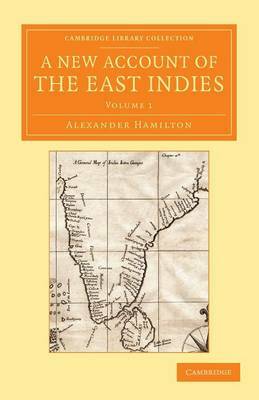 Volume 1 takes the reader up the east coast of Africa to the Middle East, and round the coast of India to Ceylon.